Venezuela has been in the spotlight in recent weeks as political disputes reach new heights. This comes on top of years of economic and political crises which have had a major impact on people’s daily lives. MSF has been providing medical care in Venezuela since 2015. Kristel Eerdekens, MSF operations coordinator, describes MSF’s work in the country. What is MSF doing in Venezuela? “Today, MSF has four medical programmes in Venezuela. 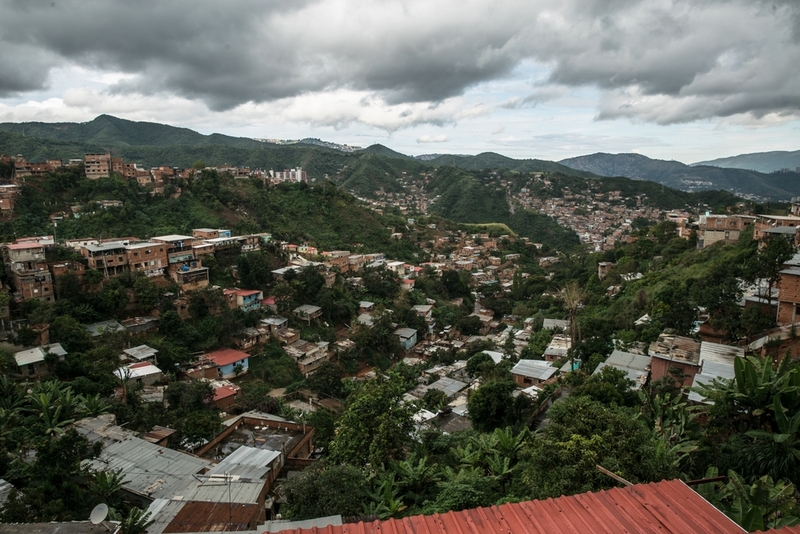 Working alongside local organisations and public institutions, we provide medical and psychological assistance to victims of violence and sexual violence in Caracas, one of the most violent cities in the world. We promote a comprehensive approach, combining medical and psychological care, in which sexual violence is seen as a medical emergency. In recent years we have also supported the malaria programme in Sifontes municipality, in Bolivar state – an area with many informal gold mines, which attract people from across the country. Malaria has spread rapidly through the region due to the highly mobile population, the poor conditions in which they are living, and a very under-resourced malaria control programme. In 2018, MSF teams tested 220,354 people for malaria and treated 137,936 people for the disease. We also distributed 20,000 mosquito nets and sprayed 3,900 households in order to prevent new infections. Bed net distribution campaign in Sifontes municipality conducted by MSF. The distribution is crucial to allow people to protect themselves from mosquitoes. Since February 2019, an MSF team has been based in Carupano, in Sucre state, working with the Malaria Institute to support Venezuela’s national malaria programme to control the disease. Through a local partner medical organisation, we also provide support to a primary healthcare programme with a focus on sexual and reproductive health in the north of the country. While this is in its initial phase, it is providing much-needed support for a population experiencing a severe shortage of medicines. 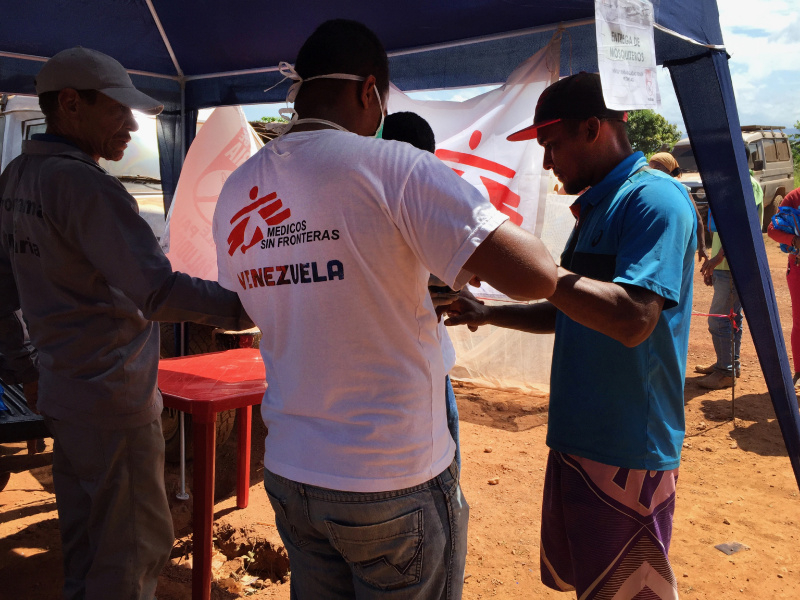 MSF was involved in providing similar support in the city of Maracaibo from 2016 till February 2018. In these uncertain times, we are also on alert and ready to respond to possible outbreaks of violence and to medical consequences of the economic, social and political crises. We have already made – and may continue to make – donations of medical supplies to hospitals in various parts of the country to help them cope with a potential acute deterioration of the situation. We have also trained local medical staff to deal with mass casualty events, and we have provided psychological first aid to civil defence and voluntary rescue groups. 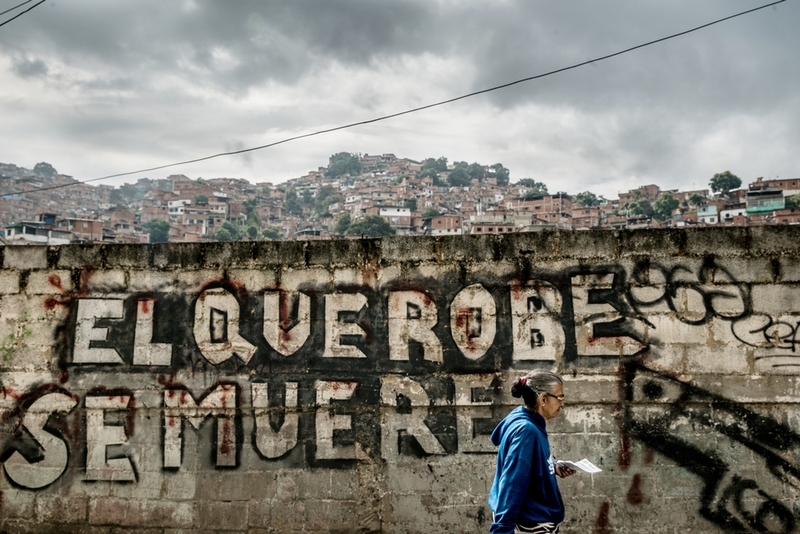 A woman walks through the district of Petare, Caracas, considered to be one of the most dangerous neighbourhoods in Latin America. What is the medical situation in the country? “Venezuela is going through an economic and political crisis which affects every strata of society. It is a difficult environment for MSF to work in as we only have teams present in a few locations. Because of this, it is hard for us to give a full description of the medical needs in the country. Since 2015, published medical data has been very limited, making it difficult to provide a more general analysis. In the places where we work, we see dedicated and skilled health professionals doing their best to serve their communities, despite all of the limitations. They face interrupted and irregular supplies of medications, while the maintenance of medical equipment and infrastructure is almost non-existent. The hyperinflation occurring in the country and the lack of investment in the health system make it very difficult to provide quality care. We also see medical professionals – including from our own teams – who decide to leave the country. This has led to an increase in cases of diseases that were previously under control, such as malaria, and outbreaks of preventable diseases such as diphtheria and measles. In the 1960s, Venezuela was a pioneer in eradicating malaria, and still has the knowledge and institutions to do so. However, the areas most affected by malaria are also struggling with a health system under significant strain, which has had an impact on the malaria control programme. In Maracaibo, where we worked until February 2018, we also saw that the lack of medical services caused delays to emergency obstetric and surgical interventions. What are MSF’s future plans? “MSF remains committed to providing medical care to the Venezuelan people, according to the needs identified. We are determined to strengthen our existing activities and explore ways to expand them where possible. If needed, we will also continue to provide medical support to Venezuelans who have left the country for Brazil, Colombia or elsewhere in the region.